Istanbul offers you more than just a city tour while walking along its streets, getting to know uniqueness and discovering its history. Visiting Istanbul will certainly influence if not change your outlook on human history from its earliest beginnings to present day. The city vibrates with deep historical roots having been a capital for numerous civilizations and empires, being often in the center of significant historical events in ancient and contemporary times. 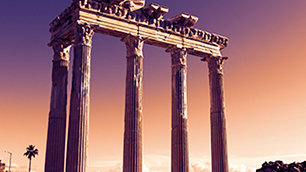 If one would travel through the ancient civilizations, Istanbul is a place offering the most striking story of time travel from the Roman period to the Ottoman Empire and the present day of the Republic of Turkey. It`s a city that allows visitors an extraordinary experience of being in the center where old meet new. 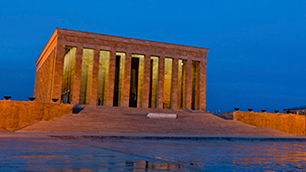 Istanbul offers visitors a wide range of venues to satisfy all tastes and needs of any metropolis. 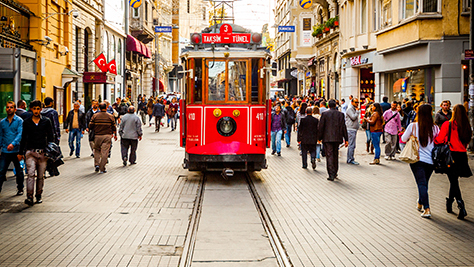 The Taksim district is the biggest entertainment, historic and business center of Istanbul; Kadıköy housed the first settlement in ancient Istanbul and is currently one of city’s most beautiful neighborhoods with entertainment venues, famous for its “Bar Street”; and the world famous unique Bosphorus coastline. 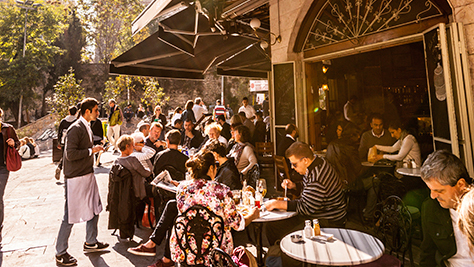 Karaköy and Beşiktaş becme prominent as alternative with the best entertainment venues, night clubs and taverns for tourists. Those who prefer calmer and more relaxing strolls may choose to visit, Beylerbeyi, famous for its historic taverns, Kumpapı and Samatya known for their Turkish-Greek taverns with unique seafood cuisine, tranquility of the old Istanbul preserved till present day in Balat or Fatih Kadınlar Pazarı famous for its Büran kebab. , far from the crowds, should visit the Princes` Islands by taking a 30-minute ferry trip. Those a bigger budget, should not leave before visiting night clubs in Nişantaşı and venues in Karaköy views of the Bosphorus and the entire city. 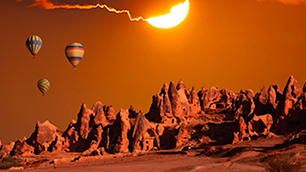 Istanbul is also famous for its natural beauties, for example, it is one of the few European cities with a wide range of bird and plant species. Since the city is a part of the bird migratory routes, there is a wide range of bird species to experience, and bird watching in Istanbul is a common and popular activity. That`s why every year hundreds of thousands of local and foreign bird watchers come to the Bosphorus to see 313 bird species present in the city. Turkey in general is one of the few areas in the world with a huge variety of plants, in Istanbul alone there are 2500 plant species, which exceeds the plant variety of entire European countries such as England and Poland. For example, one of the water springs in Istanbul – Ömerli Barrage Drainage Basin has been placed under the protection of UNESCO as an Urban Biosphere Reserve under the Man and the Biosphere Program. The historic Yıldız Palace garden is one of the must-see and most beautiful locations combining a vegetation cover, bird species and historic artifacts of the city. Undoubtedly, no words can describe both the number and historical importance of Istanbul’s historical architecture. Every step of the historic peninsula is full of monuments, such great works of art as Hagia Sophia, Topkapı Palace, Sultan Ahmet Mosque and the Basilica Cistern are among the first must-see sites for every tourist. Hagia Sophia, built in the 4th century and used as a religious and political center in the Roman Empire period, is today a museum and is considered one of the biggest and most sacred Christian monuments in the world. Empires from three continents – Europe, Asia and Africa – used to reign from the Topkapı Palace, which offers visitors the opportunity to personally experience and touch the Ottoman Empire in its full glory. The Sultan Ahmet Mosque is known as an ultimate example of Ottoman architecture, whose courts are filled with the remnants of this empire. Additional sites that should be visited are the Dolmabahçe Palace and the Archaeological Museum. Besides, one of the unique experiences filled with the historical fibers of Istanbul would be going to a classical music concert, sitting on the seats, which the Emperors used to sit on, and enjoying the sacred venue of the Hagia Irene Church built in the 4th century in the backyard of the Topkapı Palace.